1. The aroma is fresh, high and long lasting. The taste is mellow, sweet and refreshing. 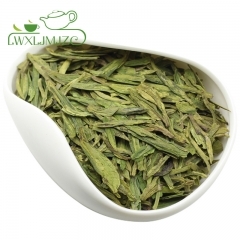 What is Liu An Gua Pian Green Tea? The fresh tea leaves picked to produce melon slice are much different from that for other famous teas. After plucking one bud with two or three leaves from the tea plant, the producers separate the full-blown leaves from the tender leaves in time. Following that, both leaf tip and stalk are cut from the full-blown leaves. So each single leaf of melon slice has no bud nor stalk. Carefully groomed leaves are then pan fired at a slow bake over a charcoal fire and frequently turned to impart a delicate hint of smokiness. 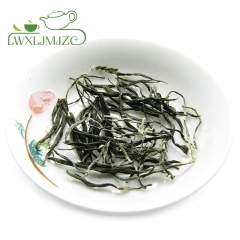 Li u An melon slice is curled at leaf edge and rich green in color with white frost on the surface. The aroma is fresh, high and long lasting. The taste is mellow, sweet and refreshing. Rank 7th in The 10 Most famous Chinese teas. 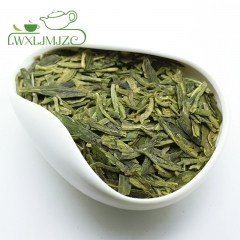 This tea has a history from Tang dynasty (about 1,300 years). The original producing area for Gua Pian is Qi Tou Shan mountain which located in Jin Zhai county. At present, Liu An county has developed as the biggest producting area, while the best Gua Pian is still from Jin Zhai County. Our Gua Pian is directly from An hui with superb quality. 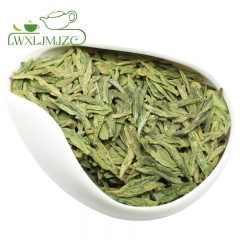 Long and narrow emerald-green colored tea leaves about 2 centimeter in length. 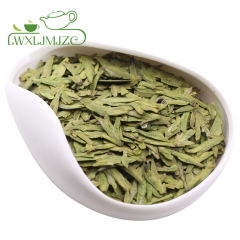 The floral taste and aftertaste of a strong cup of Gua Pian is a reminiscence of Tiguanyin tea. 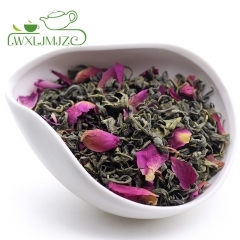 The pleasant floral sweetness of this tea gradually fills your mouth. Very refreshing and helps digestion. 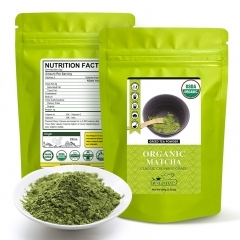 One of our best teas, recommended.